Awesome location in the heart of South Park! Walk to shops, restaurants & more! Ground floor condo. Huge Great Room has fireplace and opens to a large, private patio. The Master has double closets + a walk-in closet, bath. The 2nd bedroom also has double closets and adjoins the hall bath. Good storage including an outside storage closet. Easy care wood laminate floors in Great Rm & Dining, tile in Kitchen & entry hall. Neutral interior. Enjoy the community pool and tennis courts. Water, sewer and trash included in the HOA. Close to everything! Myers Park High School! 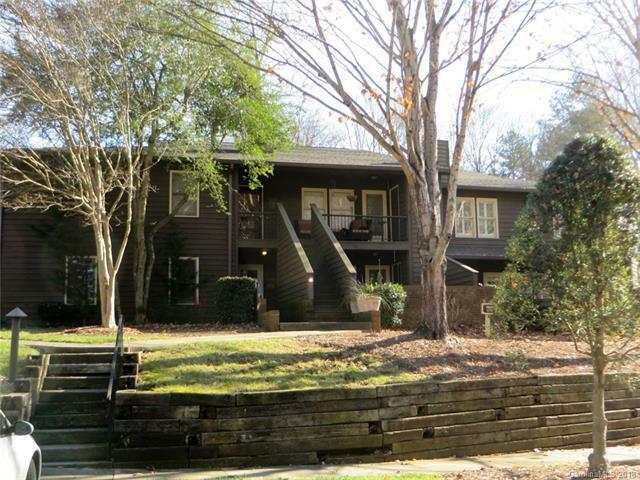 Offered by First Properties Of The Carolinas Inc. Copyright 2019 Carolina Multiple Listing Services. All rights reserved.